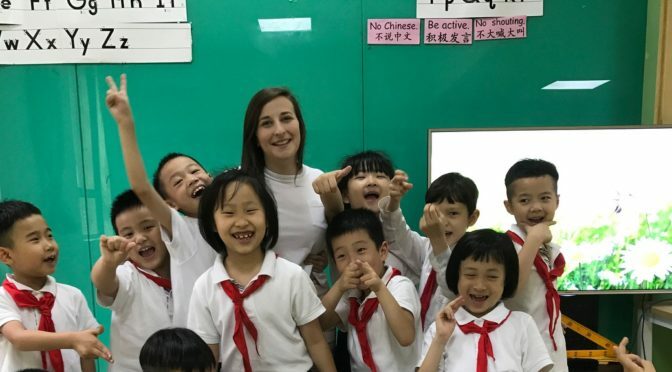 I had the most amazing experience in China. 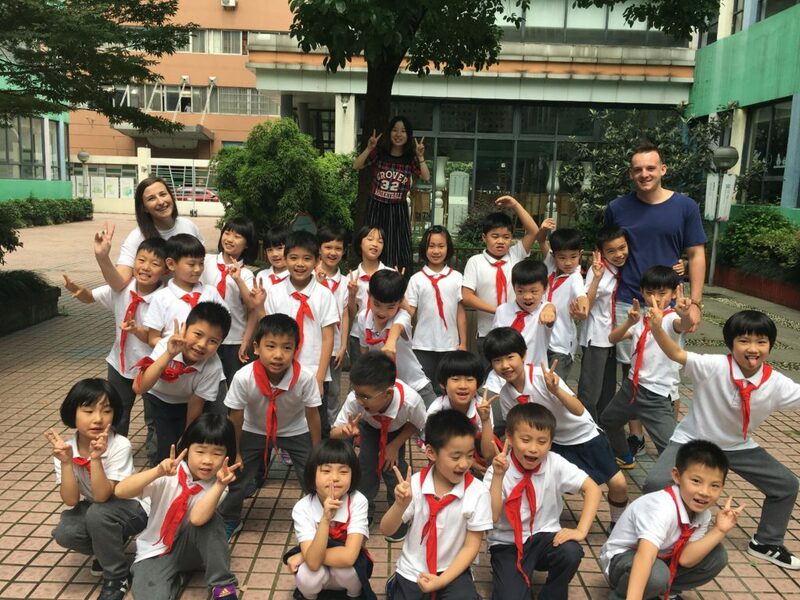 I taught at a private boarding school in central Hangzhou (a 10 minute walk from West Lake- the most famous area of Hangzhou) with excellent facilities. The kids were amazing, and it was obvious the teachers cared a lot about their education. Classes were tough to begin with as I had zero previous teaching experience but once you’re thrown in a classroom of fourteen 7-year-old kids and mostly left to your own devices, you quickly learn! I only had to teach 12 40-minute lessons per week which only involved three lesson plans per week. As it was a boarding school I also had two night classes a week, but considering I only had 9 teaching hours during the week I couldn’t complain too much about night class. The school also provided all meals for free every day. I had to get a 20 minute bus to school but the bus stop was only about 3 minutes from my apartment complex and the bus system was very easy to use and only cost about 20p per journey. Hangzhou is an amazing city. It’s crazy I had never heard about it until I got the job offer considering there’s a population of about 10 million! I feel you see something brand new every day in China, both good and bad. It’s so entirely different from life at home but in a great way (once you get used to all the staring). My apartment was about 10 minutes from Hangzhou Railway station which made weekends away pretty easy. Shanghai was only about an hour away and so cheap to travel to. The railway system is ridiculous- it’s clean, cheap and most trains are high speed. My apartment was very spacious and in a secure apartment complex. It was on the 15th floor so had good views around the city- it was weird not having an oven but you get used to eating out (or ordering in) every day. 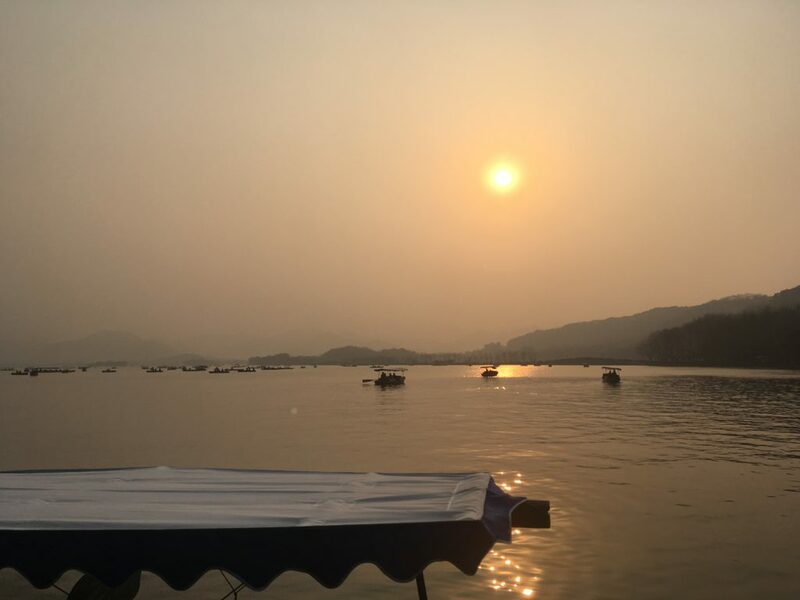 Sunset over West Lake, one of the most popular tourist attractions in China. I had a pretty rough start in China when my bags didn’t arrive with me and then I got to my apartment and my AC was broke (it was 33 degrees and I’m a pasty Irish girl) but that was probably the worst part of my trip. I made a lot of new friends, done lots of travelling, experienced so many new things and even grasped a little bit of Chinese (mostly just ordering beer, coffee and food). Weekends away were so easy and cheap. 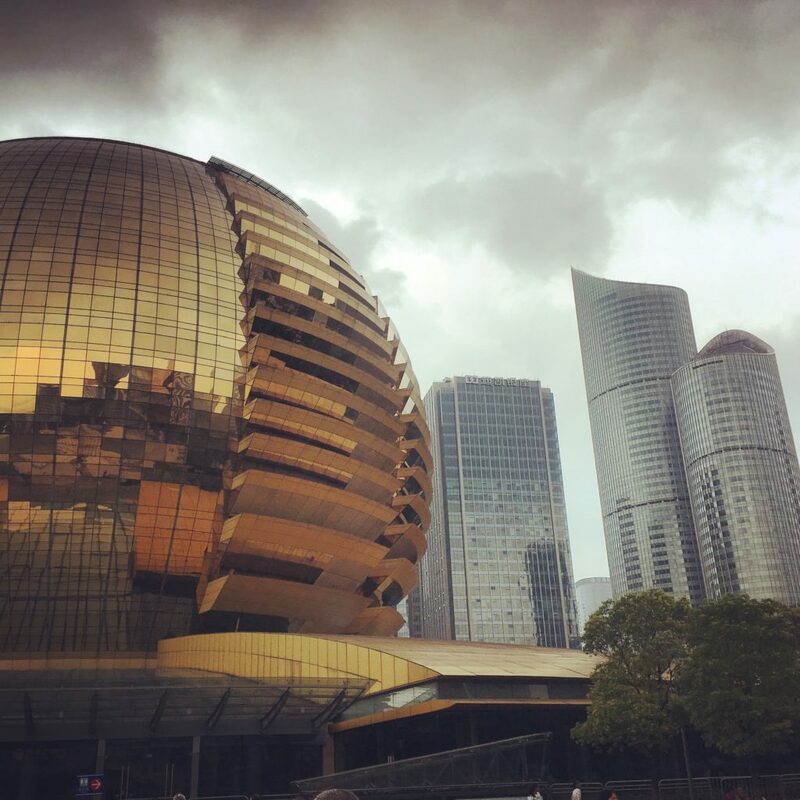 I was able to visit Suzhou, Nanjing, Shanghai, Beijing and Sanya whilst I was there. 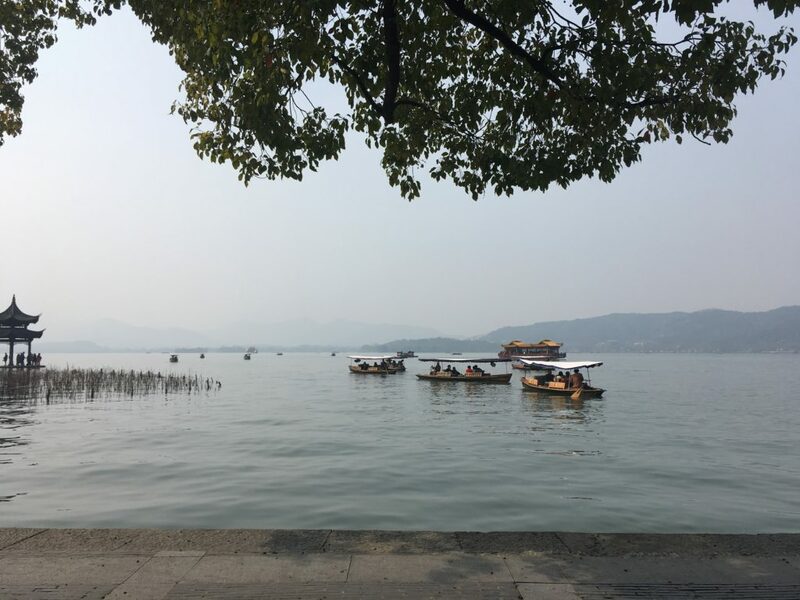 I also found a great travelling group in Hangzhou ran by a local man whose idea was to show foreigners around the less tourist areas which was great. It was also a fab way of getting out of the city and meeting new friends. 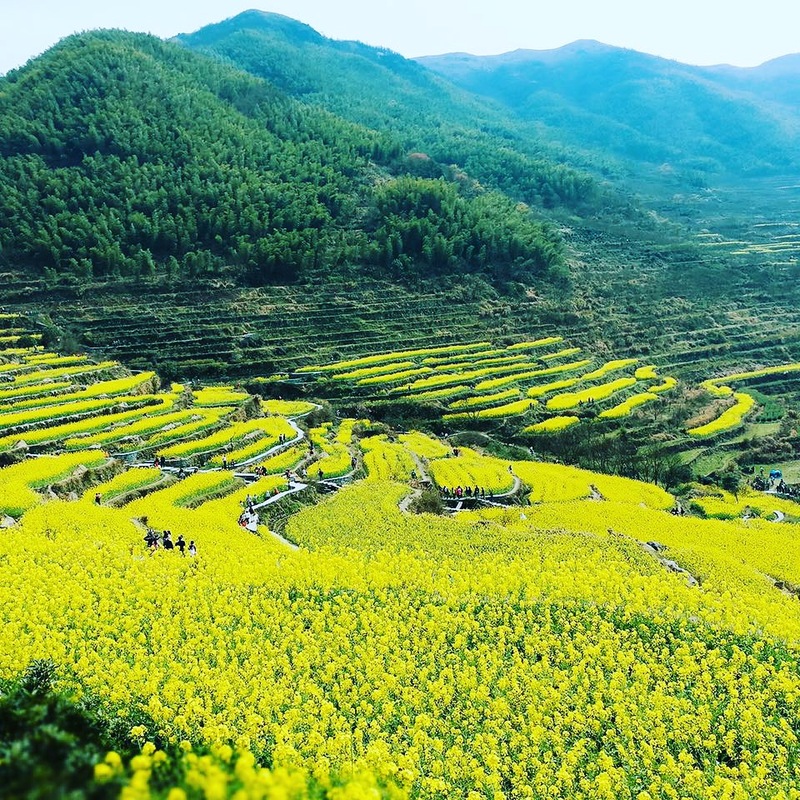 If you end up in Hangzhou I definitely recommend eTravel. Having Haida as an agency had its pros and cons to be honest. They were useful for sorting out my visa, medical, picking me up from the airport etc but I think I was very lucky in all my dealings with them. A lot of my friends that were also with Haida had to spend the first couple of weeks in a cramped hotel room before getting moved to an apartment, they had lied about people’s previous teaching experience, some people weren’t arriving on the correct visas and some people were also sent to some small cities outside Hangzhou. I would definitely recommend coming via an agency the first time around though until you find your bearings.